A collection of resources for the summer period of Ordinary Time  prayers, stories, responses, songs, poems, reflections and meditations, written by Iona Community members, associates, friends and others. While offering resources for groups and individuals covering the weeks from Trinity Sunday to the Feast of the Transfiguration, including Fathers Day, Saints days and Lammastide, much of the material can be used at other times during the year as well. It is a companion resource book to Eggs and Ashes: Practical & Liturgical Resources for Lent and Holy Week, Candles & Conifers: Resources for All Saints and Advent, Hay & Stardust: Resources for Christmas to Candlemas, and Fire and Bread: Resources for Easter Day to Trinity Sunday. 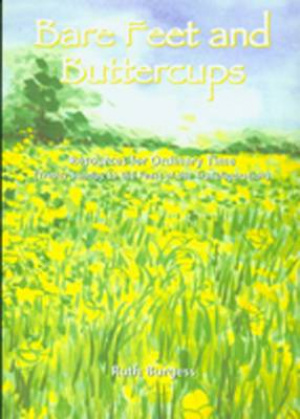 Bare Feet and Buttercups by Ruth Burgess was published by Wild Goose Publications in March 2008 and is our 7125th best seller. The ISBN for Bare Feet and Buttercups is 9781905010509. Be the first to review Bare Feet and Buttercups! Got a question? No problem! Just click here to ask us about Bare Feet and Buttercups.